A thrilling tale of Norse Gods and a terrifying hunt …Astrid – a Viking Princess – and Leif (a poet) are on the run, having been banished from Denmark. They are trying to escape to Sweden. But Grimnir, a coldblooded assassin, has been sent to kill them. 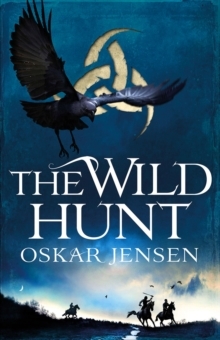 And that is the least of their worries, for Leif has managed to offend Odin, the king of the Norse Gods, which means the dreaded Wild Hunt – Odin’s hunt – is after them, and ready to take their lives in revenge …An epic tale of battle, bloodshed and the terror of being hunted.